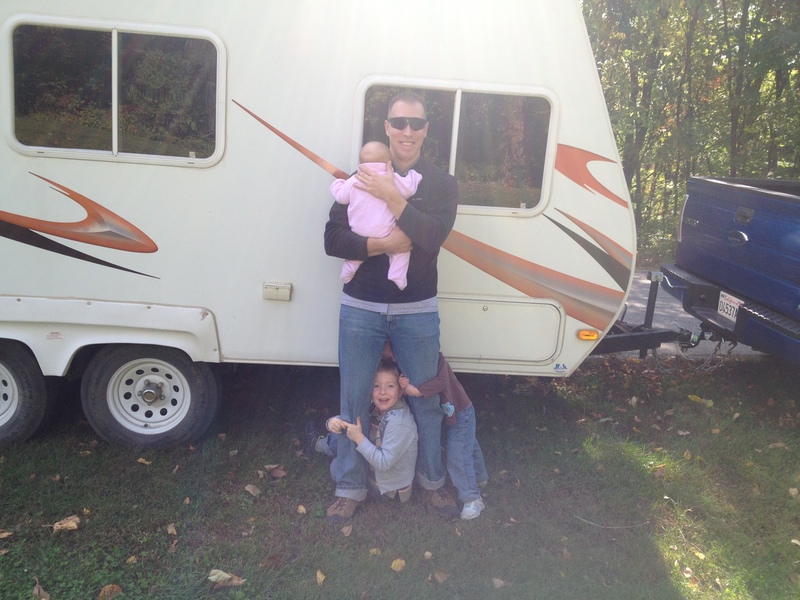 Our First Camping trip….all together! 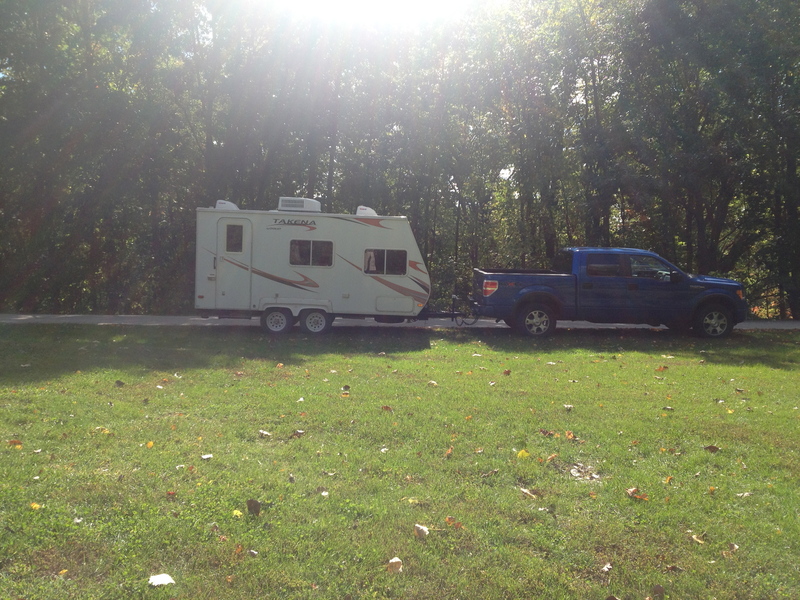 And with a camper…. 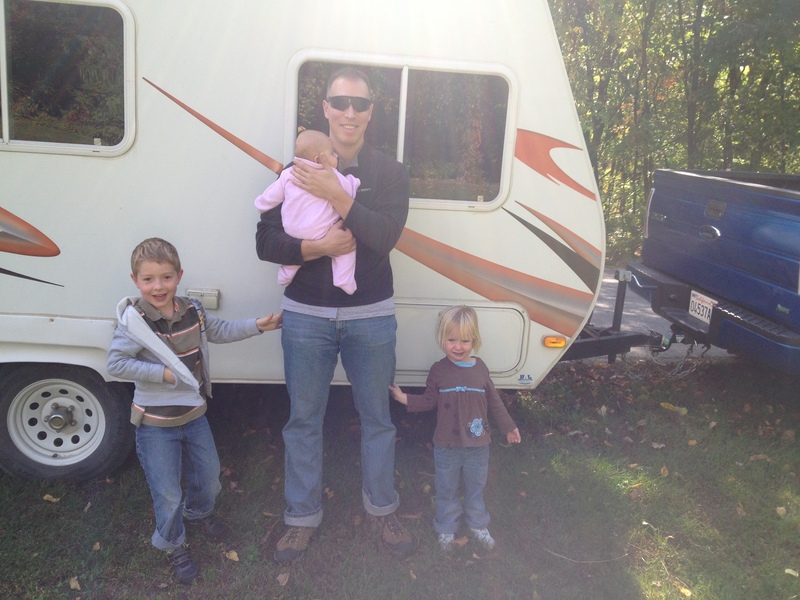 Our first camping trip! This was a really fun trip!!! 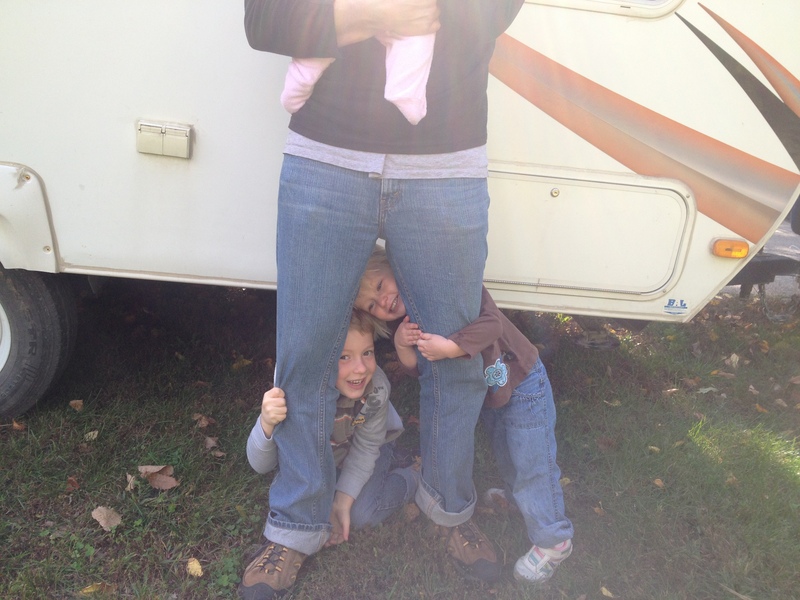 We have been longing to go camping together as a family. Brian and Lewis enjoyed camping together in Cali…rough style…tenting in the snow…in the back of daddy’s truck…and then here in Kansas in a dense vegetation spot….with lots of creepy crawlies…right after the rain 🙂 Hannah and I and Emmy…in my tummy…enjoyed staying for a bit…and then headed back to the high life. 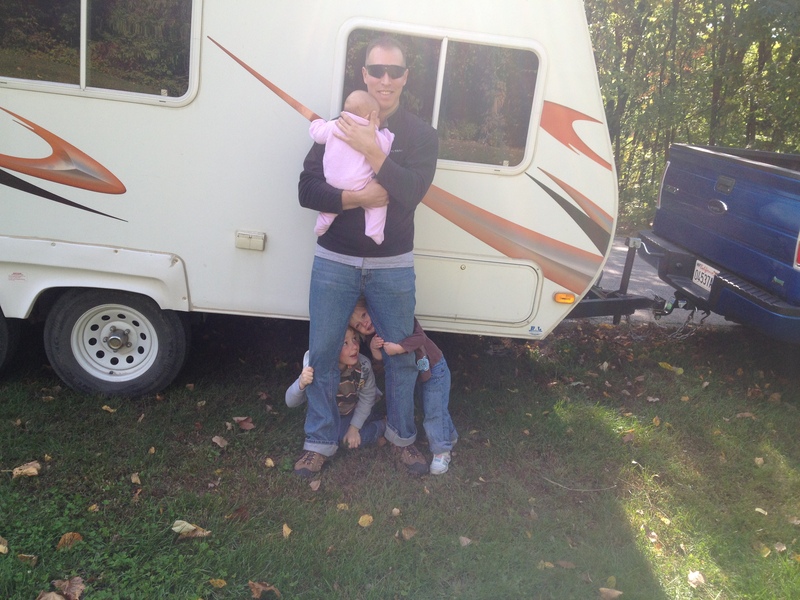 Well…I have no excuse now not being pregnant and all…and daddy even got a camper to stay warm in….and WE HAD A BLAST!!! The whole trip I kept hearing WALK WORTHY. “Walk worthy of the calling I have given you.” He gives us the calling….as Christians and as individuals and families (Ephesians)…and then He tells us He counts us worthy (Ephesians)…and on this trip it was a sort of commission-WALK WORTHY. I meditated on this for a bit…often times I’ve felt unworthy or felt confused about my calling. God has brought more clarity to me here about my calling as a Christian, individually, and for our family…and He has rooted me more in His love and showed me His worthiness IN me. He counts me worthy. I feel CLARITY. I feel CONFIDENCE. I feel as if there is no turning back now. No excuse. He has removed the ignorance…the unbelief…and counted me faithful (Timothy)…and now it is GO. Don’t look back. Prove to me I was right about you! I pray we Walk Worthy of the calling He has given us. Posted in A season of change. 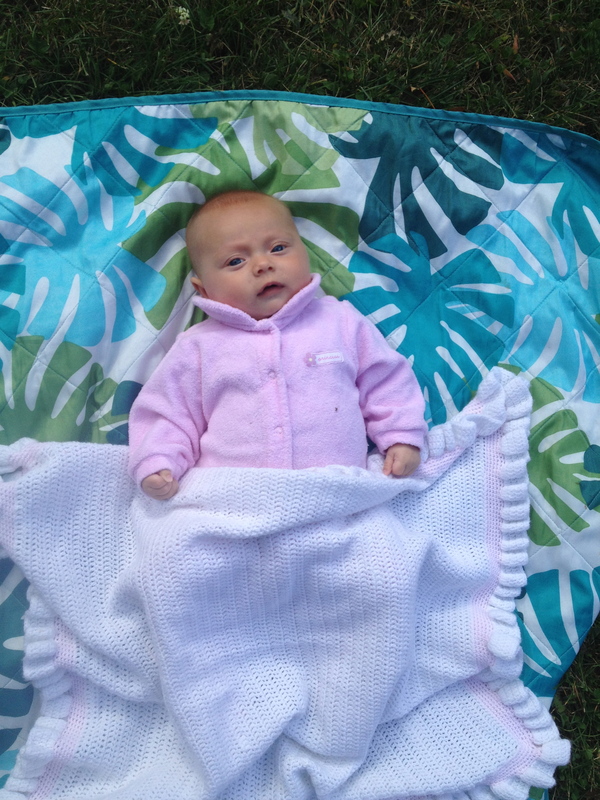 Previous: Previous post: Our Baby Whisperer and Awesome Auntie!!! Next: Next post: Baptized into a new name.